So...having spent months to understand the concept and convert to its key components, I have completely embraced this concept of Hygge. It turns out that it is actually my preferred lifestyle and pretty much embodies what we stand for at Kate’s Garden. Especially during the winter. Oddly, I love winter. Having spent formative years in the Laurentians, Ottawa and Montreal, I learned to appreciate actually being able to do stuff outdoors when it is cold. I just took a brisk winter walk along Main Street Markham north. Though it was chilly, with the snow falling lightly, it is just plain pretty taking a winter walk along an historic street...and then savouring a nice hot chocolate upon my return to Kate’s Garden! Totally hygge! Hygge, pronounced hoo-gah, is a lifestyle simplification, pursuit of happiness and personal development trend. The Danes and Norwegians, having been recently cited as the happiest countries in the world by the United Nations seem to have a wrap on this concept of “Ultimate Cosiness”. Hygge is mostly about an antidote to busy, stressed out lives. This past Blue Monday, we held several Hygge information sessions at Kate’s Garden. The response was overwhelming and like nothing we have ever experienced for a mid month January event! On what is frequently considered the most depressing day of the year, dozens and dozens of women braved winter storms to learn more about Nordic secrets to happiness. The mulled cider and cookies may have helped to entice folks outdoors but it was the invitation to fight back against the winter blues that did the trick. Celebrating the seasons is easy to do in Canada when we have four such spectacularly different and beautiful seasons. Staying in touch with nature keeps you grounded. This is not a cliché. It is a fact. Gardening does not have to stop just because the growing season has slowed down. 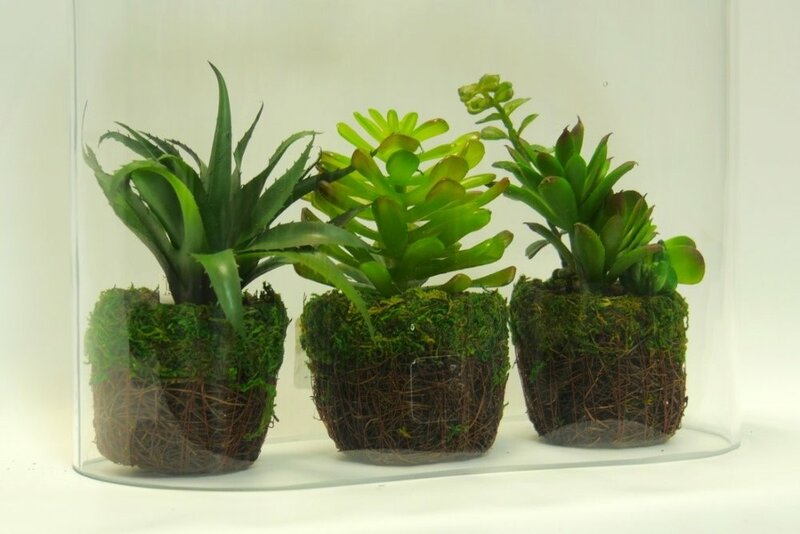 Potted bulbs, indoor herb gardens, terrarium and easy care houseplants can keep your thumb green. I love the Norwegian saying that there is no such thing as bad weather, only bad clothes. You may choose not to ski or skate but brisk winter walks will help to keep colds and flu away. My family will tell you that the term “Safe Haven” is what home means to me. Home is about creating a place of respite and relaxation free from judgement. The hygge concept of lots of extra cushions and with snuggly throws on the couch reinforces the notion of winter nesting and cocooning. Living in a clutter-free, clean and organized environment. I just bought the latest Remodelista book about Stylish Storage. Having been a professional organizer for many years and a relentless clutterbuster, I fancy myself to leading a pretty clutterbusted life. My home and business are good examples of “mise en place” but being the creative types we are, staying ahead of clutter is a continuous struggle. Something about the post-holiday January decorating period, this most recent Remodelista book and embracing Hygge had me spending hours over the last few weeks purging unnecessary duplicates and unflattering clothes. It takes continuous effort but I find that deciding to surround us with only the things that we consider to be useful and beautiful is liberating. Getting from chaos to collected lifts my shoulders. In sunlight deprived Nordic countries, flickering candles and fairy lights are considered essentials. Simple flowers, lots of indoor plants to help oxygenate rooms left stale by closed windows and potted bulbs for colour and scent turn minimalistically furnished homes into warm and inviting spaces. Journaling about Positive Moments in Life...great Hygge! During these past few months, we have geared all of our entertaining to lingering for hours around the dining room table with flickering candles, fresh flowers artfully flopping in vintage bottles enjoying wonderful comfort food and great bread dressed in jeans. It takes all the pressure off and is in line with the Hygge concept of keeping it simple, not putting on the dog or showing off. Hygge also means leaving drama at the door and avoiding politics and topics that cause distress while entertaining. Given the state of world affairs these days, it has been more difficult than usual to avoid talking politics... but it is good to have goals! My daughter Silken and I bought these in Lyon not too far from where she studies! My daughter-in-law Joanna and daughter Silken baked this giant cinnamon bun! Board games, crafting, knitting, indoor gardening, crocheting, bird feeding, flower arranging, reading and taking pleasure in writing things by hand. Amazing how these simple pleasures reinforce the notion of slow living. A little less screen time (with Netflix as a cosy exception) never hurts. Be grateful for slow living! Hygge is also about practicing gratitude, being present, togetherness and mindfully choosing to spend time doing the things that give you pleasure, lift your spirit and make you feel happier. Get comfy, take a nap and live slow. To recap, spending time this winter focused on casual entertaining that brings together family and friends in a cosy atmosphere with ambient light, fresh flowers, comfort food; playing board games and enjoying gentle pastimes? It is not hard to figure out why Hygge can quickly become a preferred lifestyle especially in winter.